Did you know that this Friday, January 11th is National Learn to Ski or Snowboard day? In an effort to spread their love for snow sports, ski resorts across America and right her in our backyard are offering special packages for those "Never Evers." Packages usually include rental equipment, beginner lift passes, and lessons. The team of ski instructors and snow sports employees are there to make sure that your beginner gets off on the right foot and can safely navigate their first time on snow. Follow this link to find out what our local mountains are doing to support the cause. Prices range from $49 for everything at Bromley and Mount Snow to $300 for a 3-day program. Spread the word and get out there and have some fun! This would be a perfect time to bring a friend up for the weekend and show them all the joys of the mountain. There are plenty of great Apre ski events this weekend as well. Don't forget....Friends don't let friends ski in jeans!! So make sure they have the right outdoor weather clothing and gear. If you need a place to stay give us a call at the office or visit our website for rental specials. William Raveis awards Carrie Mathews with Chairman Club status. Stratton, Vermont 4/11/2017— Carrie Mathews, of William Raveis Real Estate, Mortgage & Insurance, was named to the Chairman’s Club for being among the company’s Top 200 producers. Mathews was singled out for recognition from among the company’s 4,000 sales associates. She received the honor based on her sales volume of 8.9 Million for 2016. Carrie is the Managing Broker in the firm’s Stratton office. She got her real estate license in 2004 and has received several honors and awards throughout her career. “Carrie doubled her business since joining Raveis. Her work ethic combined with tremendous real estate experience and local knowledge makes her the ideal agent to help her clients achieve their real estate goals. She is especially good at helping clients relocating to Vermont find the ultimate Vermont lifestyle for them. Carrie’s leadership as our manager raises the standard for everyone in the office.” added John Biondolillo. Biondolillo and his wife Marcia own the Raveis offices in Northern New England. A resident of Winhall for 16 years, Mathews enjoys helping with Habitat for Humanity, Stratton Foundation, and working with the local community center and library. She loves where she works and plays. Carrie served as the South Central Vermont Board of Realtors (SCVBR) secretary from 2009-2014 as state director and education chair for Vermont Realtors 2013-2016, and is currently a Member-at - Large on the SCVBR board. Carrie has a great team of agents and they all recently participated in the Susan G. Komen Snowshoe for a Cure. William Raveis Real Estate, Mortgage & Insurance is the No. 1 family-owned real estate company in the Northeast and the No. 8 real estate company in the country, according to REAL Trends. William Raveis’ Real Estate, Mortgage and Insurance divisions have been awarded the Gold Medal distinction by the Commercial Record and by Banker & Tradesman. The firm was named the Most Innovative Brokerage by Inman News, and has consistently been ranked the best place to work by Fox CT, Hearst Connecticut and the Boston Business Journal. William Raveis has 4,000 highly trained sales professionals in 120 offices in Connecticut, Massachusetts, New York, Rhode Island, New Hampshire, New Jersey, Maine, Vermont and Florida. For more information, visit the best website in real estate, raveis.com, or blog.raveis.com. Got a snowboarder in the family??? In less than a week Stratton Mountain will be crawling with snowboarders of all ages and abilities. Never Summer Snowboards once again will present The Vermont Open! The event kicks off on Thursday night with DJ Nook n Kranny n Friends, which is sure to be a lively night of music and dancing. Friday is rail jam time and a chance to see the Pro Heats in the afternoon. Saturday is for Slope Style and the crowd favorite Snurfer Challenge. Saturday night promises to be a sensory overload with the Retro Pipe under the lights. Ross Powers will end the event with a vintage snowboard meet and greet. The proceeds for the Vermont Open go to the Ross Power Foundation which gives financial assistance to athletes from across the United States in a wide range of sports. There are prizes, medals, giveaways, and cash to be earned by riders of all ages! It sure to put smiles on a lot of faces after having a great time ridging together and enjoying the best the sport has to offer. 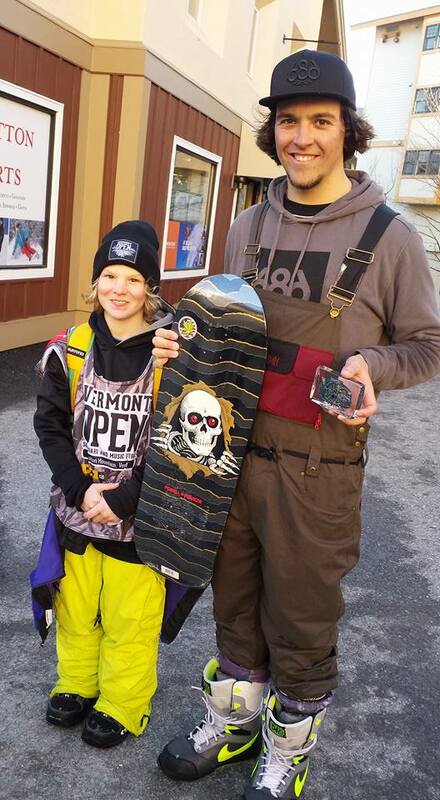 Here is an example of a couple of winners from last year's Vermont Open including our own Meghan Szkutak's son Jack! 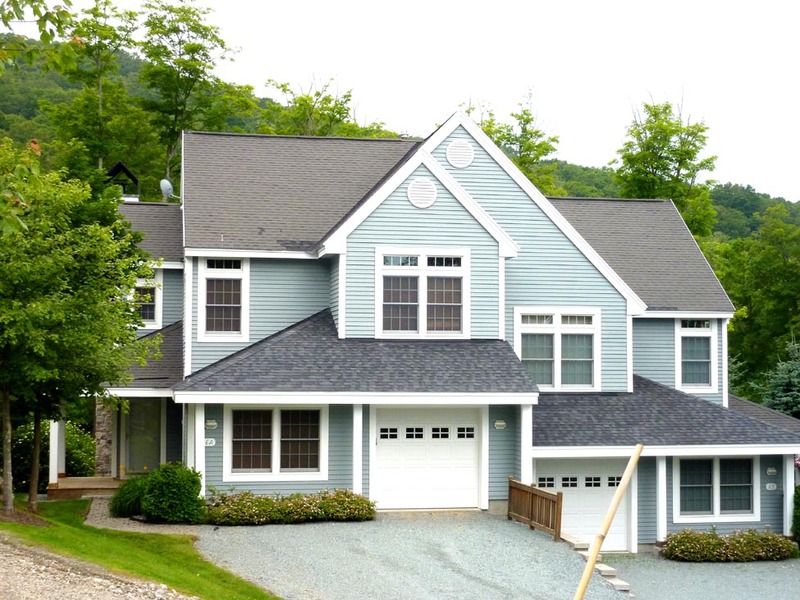 SKI-IN SKI-OUT Luxury townhouse waiting for you at Stratton Mountain! The most magnificent SKI-IN SKI-OUT luxury townhouse at Stratton Mountain! A truly remarkable setting gives you the most convenient SKI-IN SKI-OUT access in & out of your door to trails. This SKI-IN SKI-OUT location is coupled with the extraordinary high quality craftsmanship that makes this stunning residence a must see! Four bedrooms (2 master suites) has so much to offer. 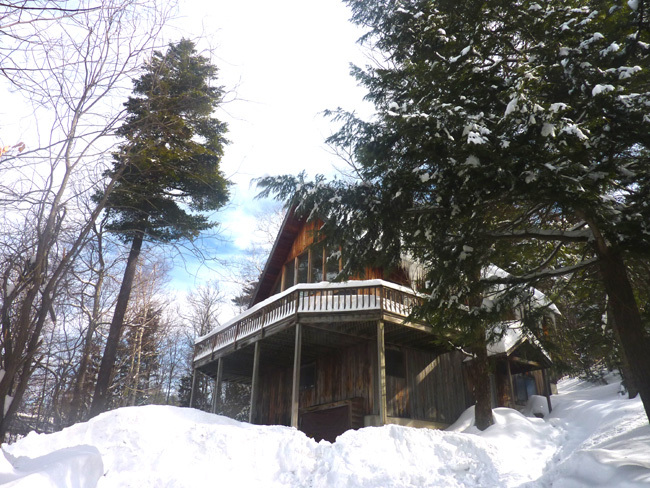 Ski in/out, snow shoe, hike, or even bike right from your door onto Stratton Mountains trails. Enjoying evenings by the fireplace or in your private hot tub on the deck! High end furnishings and new stainless kitchen appliances. William Raveis Winhall Real Estate has formed a team to participate in the Komen Vermont Snowshoe for the Cure on Sunday, February 26th. We only have a few weeks to get our fundraising in gear and do our share to help make this event a success. The best part of the fundraising is that we know that 75% of the funds raised will stay in the local area to help fund local breast cancer education, screening and treatment programs. The Stratton area does such a great job at supporting organizations and we felt that since it was in our backyard it was time to start participating. We want to reach out and support our local community! If you want to join our team or donate please go to the link below or on Facebook. You can also call the office for details 802-297-1550. William Raveis Winhall Real Estate announced today that Carrie Mathews will be the new managing broker. Mathews will oversee the company's growing portfolio of properties, business operations and sales leadership. She takes over managing from Ted and Betsy Cetron, who established the business in 1974. Mathews comes with a wealth of industry experience, beginning her 11-year career with Winhall Real Estate in 2004, and helping the brokerage list and sell numerous luxury residences while providing exceptional client care. Mathews is also the current South Central Vermont Board of Realtors® state director, served as its secretary from 2009-2014 and was recognized as the board's Realtor of the Year in 2014. Mathews transitions to the Winhall team from Four Seasons Sotheby's. John Biondolillo, president, highlighted that "Carrie has a true passion for helping customers and clients with their real estate goals, whether it be a primary home or vacation property! She has tremendous energy and enthusiasm. 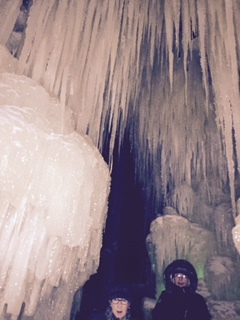 We are delighted to have her head the team in Stratton." Mathews comments: "I am excited at the opportunity to serve our clients not only as a broker but as a manager coordinating all aspects of their experience. John and Marcia Biondolillo have the same energy, vision and values that I do. They are extremely supportive and have a genuine interest in helping their agents succeed. Also, Raveis has cutting-edge technology and marketing. Raveis is widely recognized as the leader in markets where so many Stratton home buyers have their primary residences. Raveis has the marketing that will deliver our Vermont property offerings to the right clientele, especially in southern New England and New York. That is a huge advantage for our seller clients." Outside of real estate, Mathews enjoys volunteering her time for Habitat for Humanity, the Stratton Foundation and The Mountain School at Winhall. 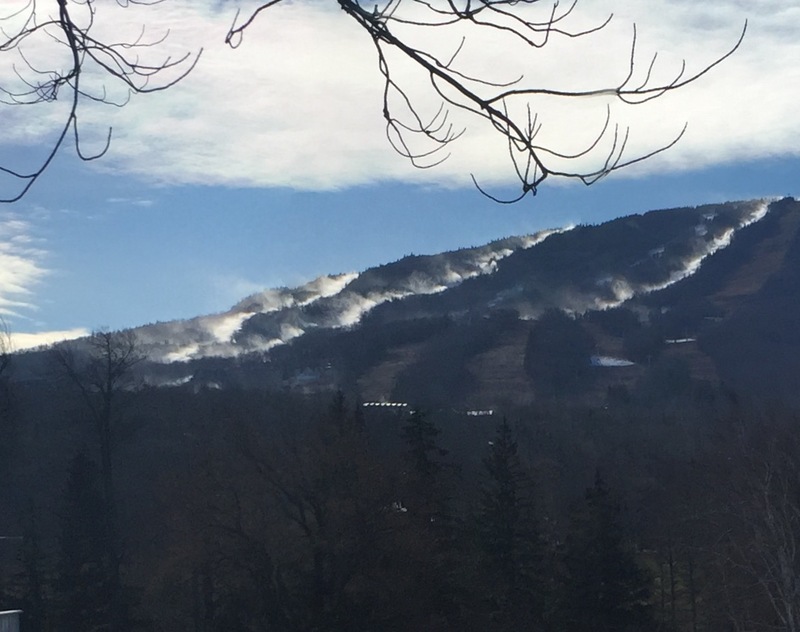 Stratton and Bromley have been blowing snow for the last few days getting the mountain ready to open this Thanksgiving weekend. The Stratton BaseLodge has had a mjor overhaul and is looking great. The ski shops are all filled and we have been busy getting our seasonal rentors into their homes for this winter Our Short term rental Depoartment is still booking for Christmas as well as beyond. There are a few seaonal rentals left on our web site so if you are looking for a Stratton Rental Seasonal or Short term take a look and give us a call. There are still some great buys in homes, so its not too late to buy something and be in after Christmas. The weather has finally warmed up although it does look like the SMS mogul kids are still skiing the bumps on World Cup. As always, this time of year everything comes to a screeching halt. Restaurants close and people go on vacation. The numberof Sales and contracts at Stratton seem to be pretty similar to the previous month. Hit this link to see recent Stratton Sales and closings. The Stratton Foundation is selling the original chandelier's in the base lodge so I anticipate construction for the new Lodge should start soon. Wanderlust is coming back to Stratton in mid -June. Debbie and Lisa in our Stratton Short Term Rental Department are very busy booking rentals for that time period. I know lots of owners are planning to be here to enjoy all that Wanderlust at Stratton has to offer. The phones have been ringing with people looking for summer rentals and winter seasonals' for next year. We are seeing appointments with people looking for next year even though it is early. There does not seem to be a large number of properties coming on the market which is a good trend and the number of available seasonal rentals is done. This should convert to people who realize that they should buy instead of rent. Property values have not come up much from the low so there are still a lot of great deals. a Wonderful updted home. $270,000. DOn't miss these wonderful opportunities to own Stratton Real Estate and be one of the Stratton families who enjoy summer and winter activities here.. Skiing at Stratton this February is shapping up to be magniicent. Last week we had a total of about 16 inches and i would imagine that today February 2 will are getting another 16 inches. If you are looking for fun skiing try "West Pilot" off the Work Road Trail. It is mellow and the fallLine takes you to the out of bounds rope which leads you to the Work Road. 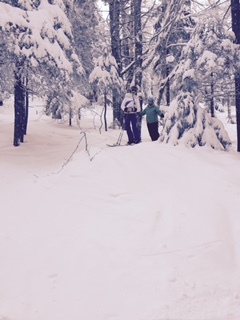 But make sure that you ski the Out of bounds Stratton trails with a buddy! Another fun adventure is to go to the Sun Bowl after skiing. There you can tube, rent small snowmobiles and visit the "IceCastles.com" There they have constructed a whole village of structures made from icecyles, with arches, thrones and more. It is lit up and there is music. Washingtons Birthday holiday is coming and there are still homes and condo's available for rent.The real estate market has been busy with people looking and starting to make offers. Mortgage rates are still low and there are still some wonderful opportunities in all price ranges. 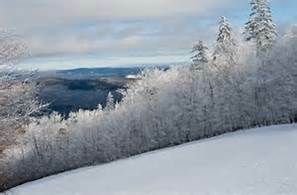 Come visit Stratton and enjoy all that it has to offer!